Our Lon-done tour is coming to an end as only Tooting Common parkrun and Greenwich parkrun remain for me after completing Orpington parkrun today. Other Dan still has the pleasure of running at Gunpowder, Hilly Fields, Walthamstow, and Bexley. 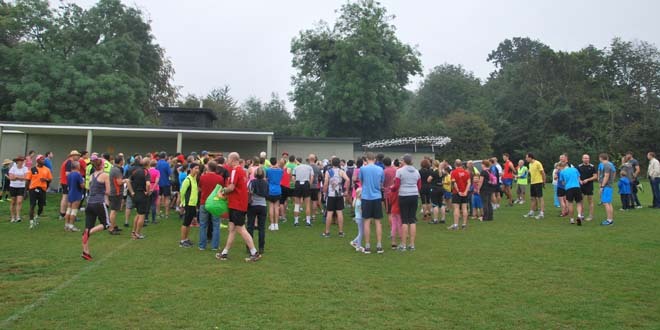 We’ve been ignoring Orpington parkrun since we started our Lon-done odyssey; it’s the parkrun diagonally across London from us and the furthest away. However, I am not sure why we worried so much as the journey around the M25 was simple and, even though the distance was high, didn’t take as long compared to some of the ‘nearer’ Lon-done venues. It was a grey miserable day when we visited but the locals were friendly and I unexpectedly bumped into an old friend of mine (from 30 years ago… wowzers). There’s a clubhouse where belongings could be left out of the elements so we left our tops inside and ran the two and a bit lap, which was surprisingly undulating. Another parkrun completed and our final M25 drive home.